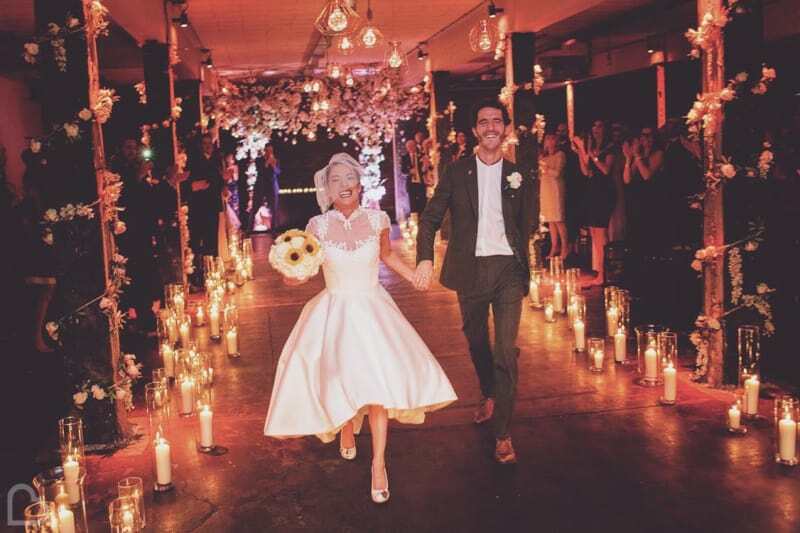 Don’t deny it – you’ve dreamt up your perfect wedding and you’ve gone a little OTT on the theme! Instead of starting all over again, why not simply choose a blank canvas venue from Bridebook.co.uk and make your visions come true? 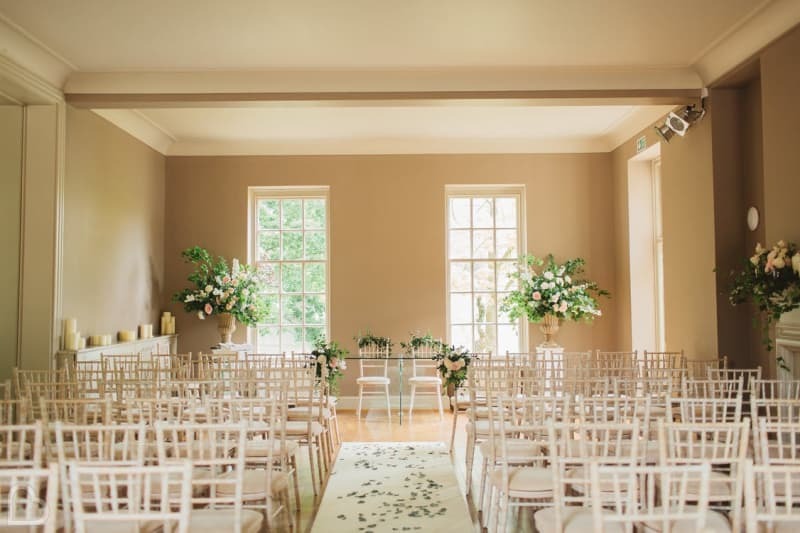 Whether you want a stripped back ‘no-frills’ kind of day, or you’re after something a little more extravagant, we’ve found some blank canvas venues that can be completely tailored to you and your day. And if you want to carry on the search after seeing these 31 stunning venues, head over to Bridebook.co.uk’s Venue Search and click ‘blank canvas’ in the filters! Enjoy! The beautifully decorated That Amazing Place is set in the glorious Essex countryside and offers neutral tones as a blank canvas wedding backdrop. With a lush outdoor space and garden pagoda, this country house will accent any theme, no matter how bold or subtle. This safari lodge-style country hotel boasts a spa, golf course, 5-star service and sumptuous cuisine. At Marwell Hotel, you can expect high ceilings, fresh interiors and a luxurious sheen, making it an ideal blank canvas setting on the edge of Hampshire’s South Downs National Park. The UK’s capital city is home to Shoreditch Studios, a flexible warehouse and studio space based inside a railway arch. 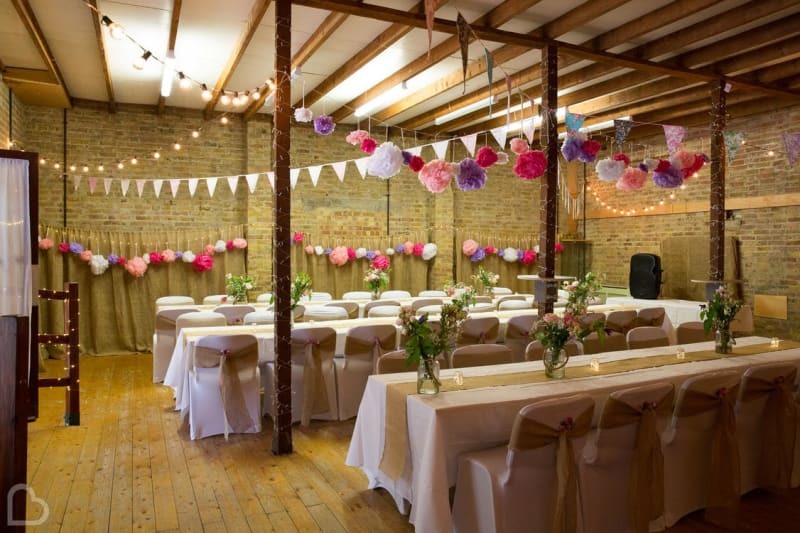 With Victorian brickwork on show and a romantic mezzanine overlooking the main space, you’ll be able to make your biggest dreams become reality. The natural beauty-style blank canvas backdrop at The Outdoor Party Company really is unique. 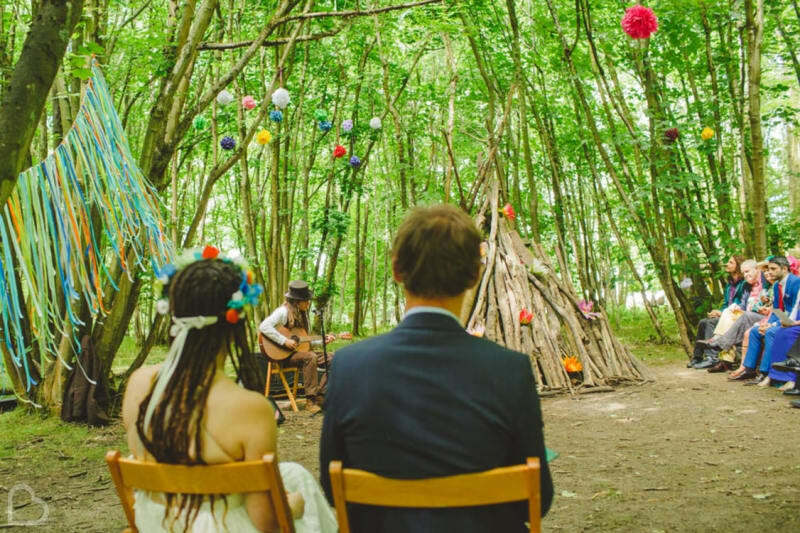 Including camping paddock, fire pit and a small rustic barn, you can create your bespoke wedding in this endless woodland setting of Berkshire. 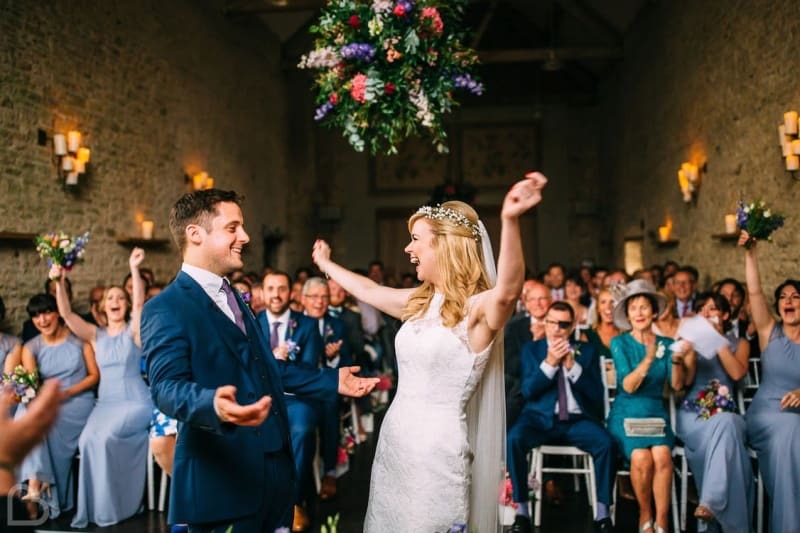 Enter the private Fawsley Estate and you will find The Granary Hotel, where converted Grade II-listed barns and a luxury marquee form the beautiful wedding backdrop. This venue has a modern finish but lets rustic features shine through – making the perfect blank canvas on which to paint your ideas. Spectacular views over Lancashire and a fresh quirky interior means you have arrived at Bashall Barn. 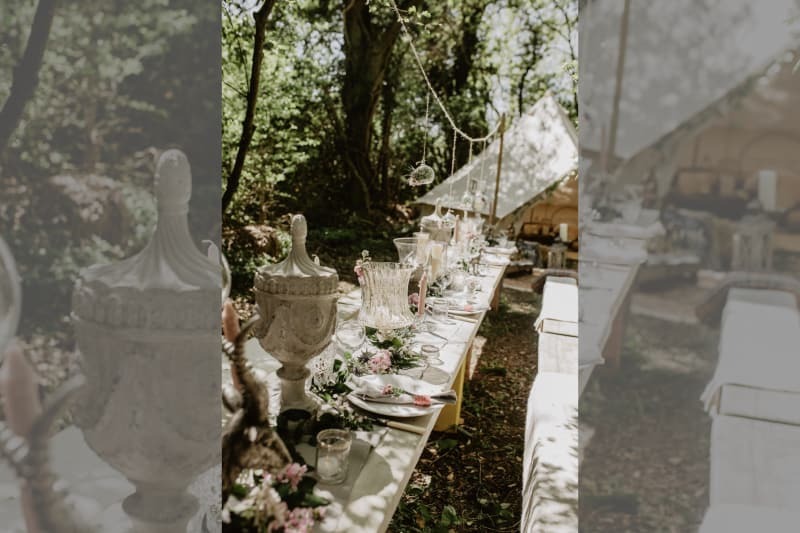 This totally bespoke venue offers home-made food, a bakery, ice cream parlour and blank but rustic décor, so you can do exactly what you want on your wedding day. Nottinghamshire’s Goosedale warmly invites you with exposed brick, dramatic high ceilings and statement lighting set within 100 acres of gardens. Dating back to the 17th Century, this exclusive-use venue will allow you to put your very own spin on the look and feel of your celebrations. 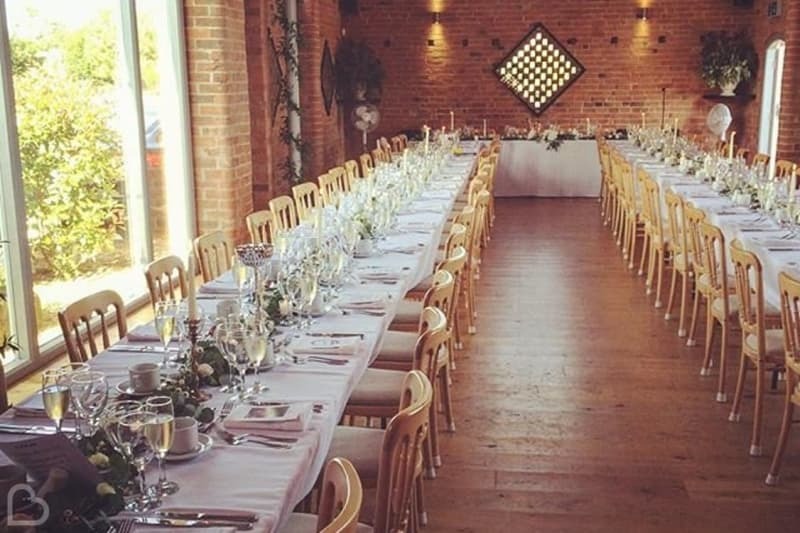 Nestled in the glorious Cotswolds, Merriscourt is an unrivalled barn setting with beautiful brick and plenty of opportunity to decorate as you wish. The interconnecting barns offer natural light, a spacious ambience and tonnes of character to add to your day. 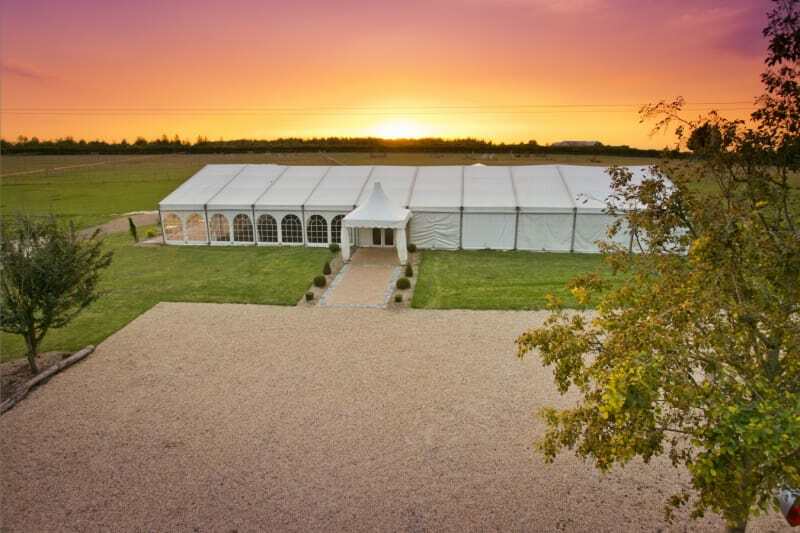 Furtho Manor Farm combines lush fields, a rustic barn and a nearby Church to suit all tastes for your wedding celebrations. This rural Northamptonshire backdrop can be transformed with a bold and colourful theme, or will be equally as beautiful with raw farm-style look. 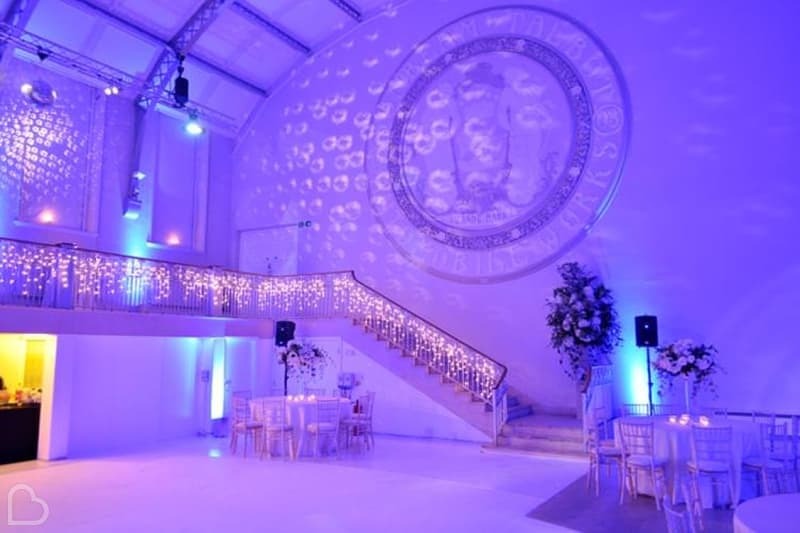 The Grade II-listed Sunbeam Studios offers plenty of history, fresh white décor and an ideal blank canvas venue for your grand theme. Once the showroom to the Talbot Sunbeam car, this London gem would be the ultimate venue for couples fanatic about classic cars! 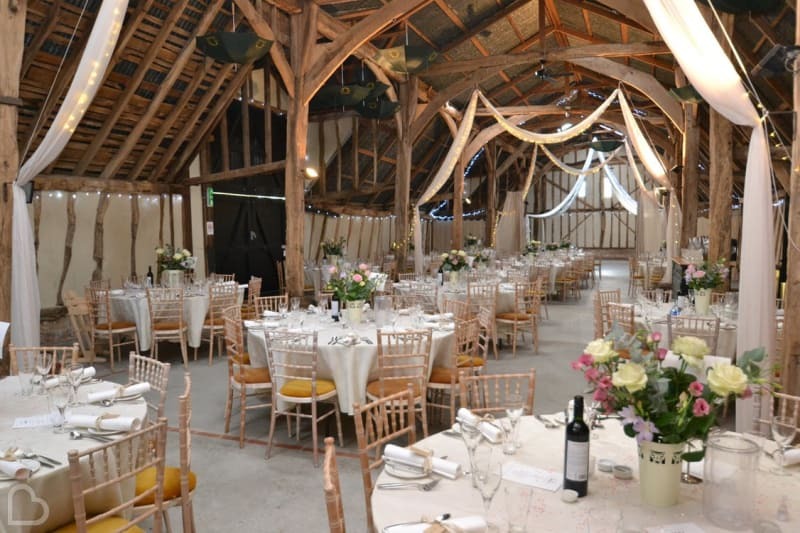 In the Essex countryside lies the spectacular blank canvas venue Gaynes Park, comprised of a gorgeous rustic barn, an outdoor barn and a sun-filled Orangery. 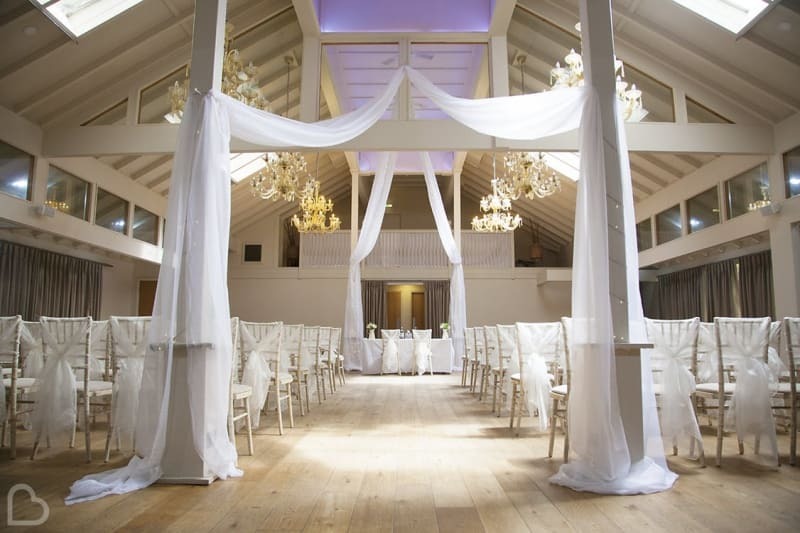 Oak beams, modern glass and stunning parkland surroundings make this venue an incredible choice. 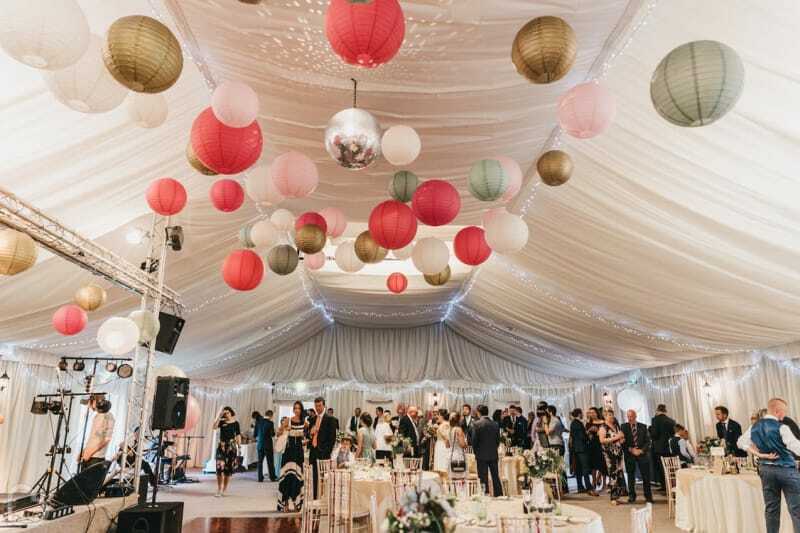 Hampshire’s Tadley Venue is situated at the Herb Farm, where lush fields and tree-lined paths lead you to a festival wonderland. The 4 acres of natural beauty are all yours for the day (or the weekend! ), so you can choose suppliers as you wish and create your dream day. David Chipperfield is the award-winning architect who designed Turner Contemporary, a luxury blank canvas venue to die for! 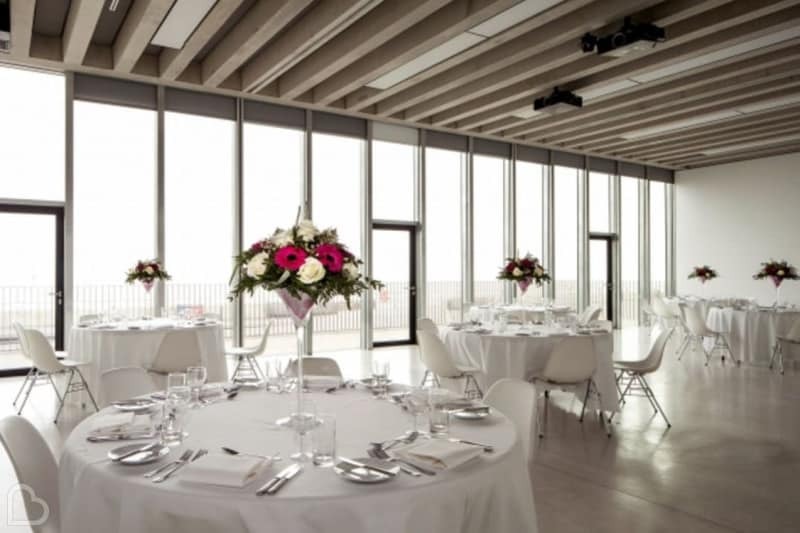 Taking advantage of Kent’s seaside town of Margate and it’s coastal views, this venue combines full length windows and gorgeous neutral palettes. Whether you’re after a simple, intimate ceremony or a grand celebration (or a mixture of the two! ), Stirk House Hotel can cater for your every need. 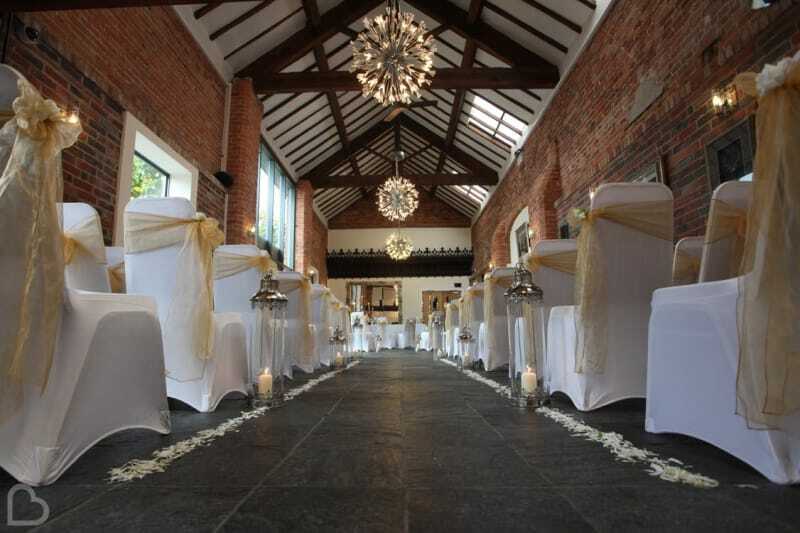 The 16th Century manor house in Lancashire offers lots of original features and some modern touches to suit your theme. Fancy tying the knot in a magnificent woodland setting on the border of Suffolk and Norfolk? 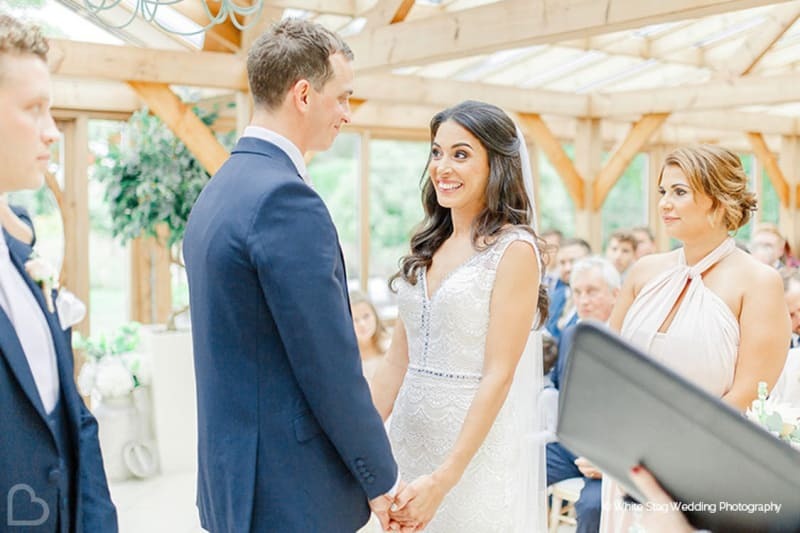 At Upthorpe Wood, you can expect a rustic woodland barn and infinite gardens in which to mingle with your loved ones – a venue with natural beauty as your backdrop. Contemporary class and raw character are combined at Applewood Hall to create the ultimate blank canvas setting. 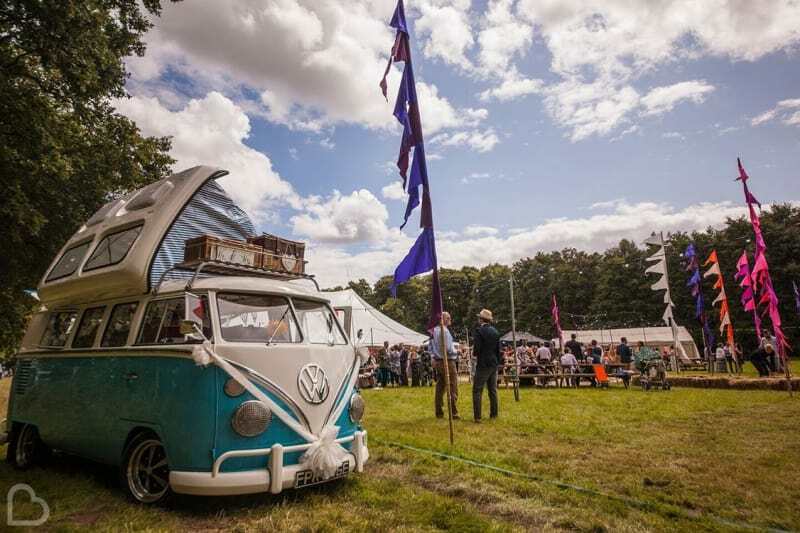 This Norfolk gem is set on the grounds of an orchard, with luxury glamping pods and camping space too, so you can celebrate your day your way. 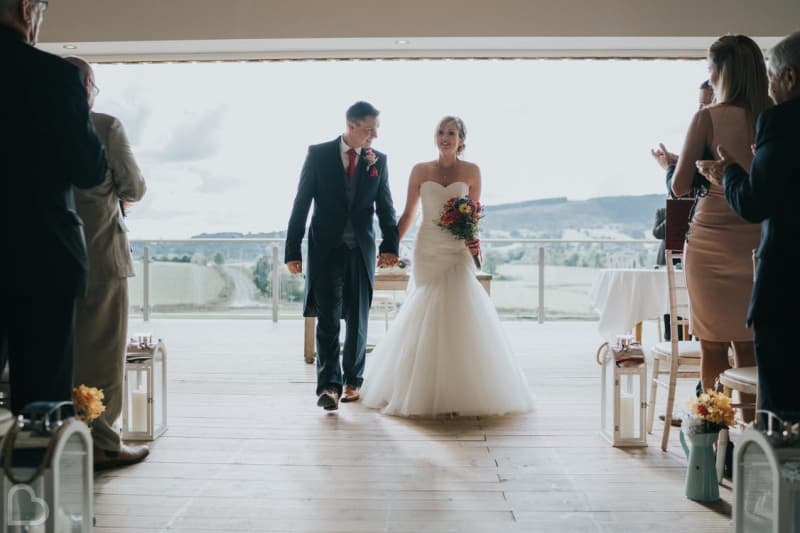 Northease Manor warmly welcomes you to East Sussex, where the rolling hills of the South Downs can be enjoyed from all around the venue. Including a thatched roof and rustic beams, this 17th Century backdrop will look stunning in your wedding photos – just simply beautiful. 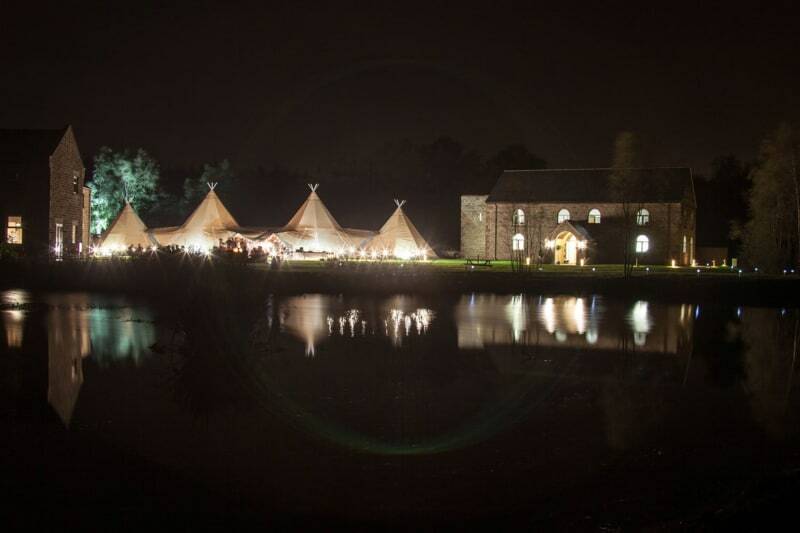 History and character await you at Alpheton Hall Barns, where you can celebrate your wedding in unique style. 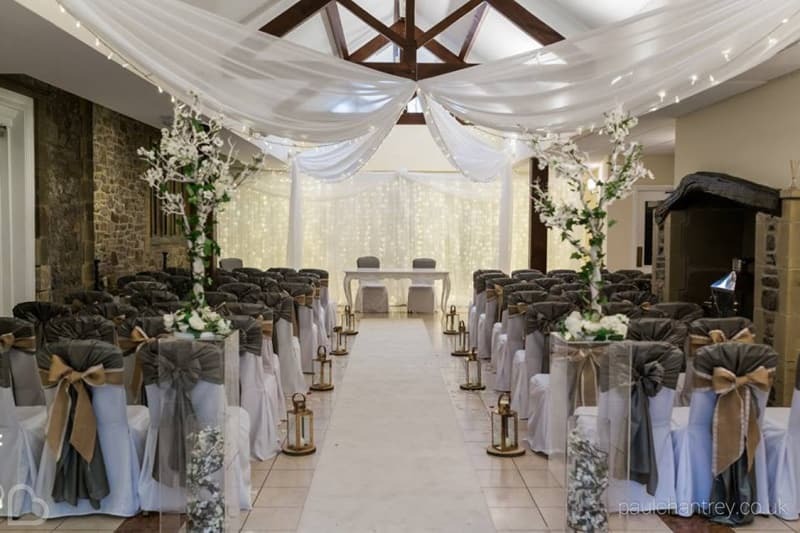 With a wide choice of ceremony and reception spaces available, you can be flexible with your day and create exactly what you dreamt of. This Elizabethan manor house dates back to the 16th Century, and totally encompasses it’s history plus a touch of luxuriousness. Somerset’s Old Bridge is the answer if you’re craving a warm and inviting setting with a plain canvas to plant your ideas upon. The idyllic rural farm setting of Swallows Nest Barn is located in the Warwickshire countryside. 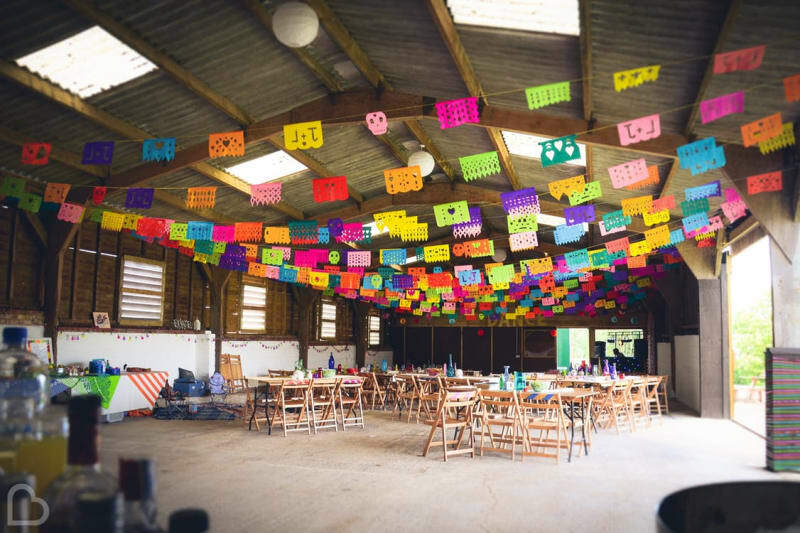 This family run farm venue puts emphasis on helping couples create a bespoke day that echoes their personalities – meaning you can both put your own spin on things! Exposed rustic walls and an urban warehouse theme can be found in Manchester at Victoria Warehouse. 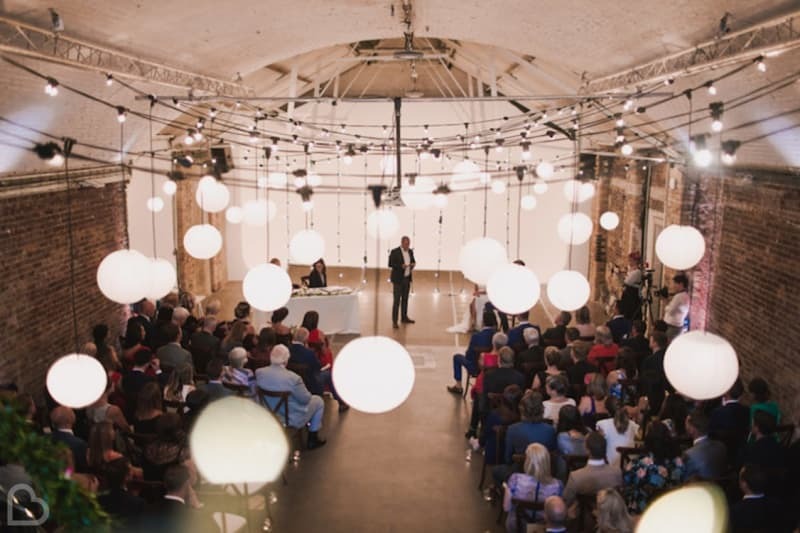 With a 100-year history as an industrial charm of the city, you’ll be surprised how much you can do with the innovative space of this dramatic venue. 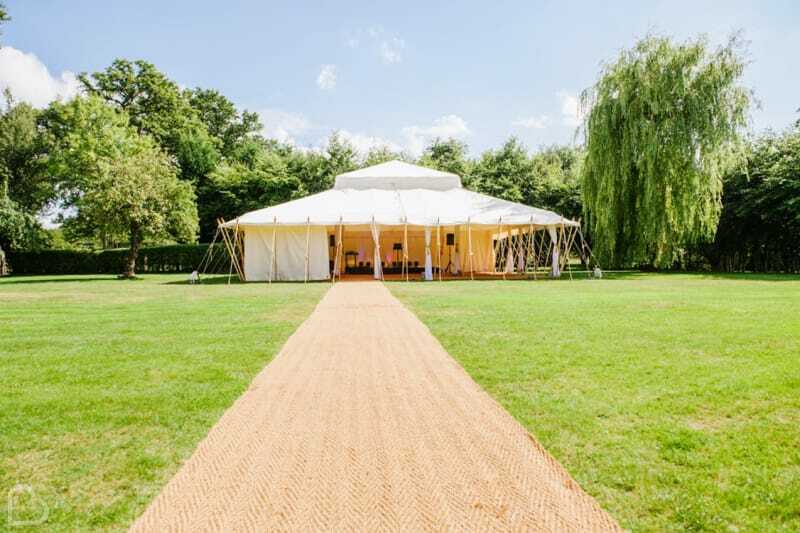 Westmead Events boasts 11 acres of glorious outdoor space that you can use as you wish – having a simply beautiful ceremony in the sunshine, before moving to your marquee set up in the lakeside meadow and orchard. Perfect for a blank canvas ‘WedFest’ celebration! 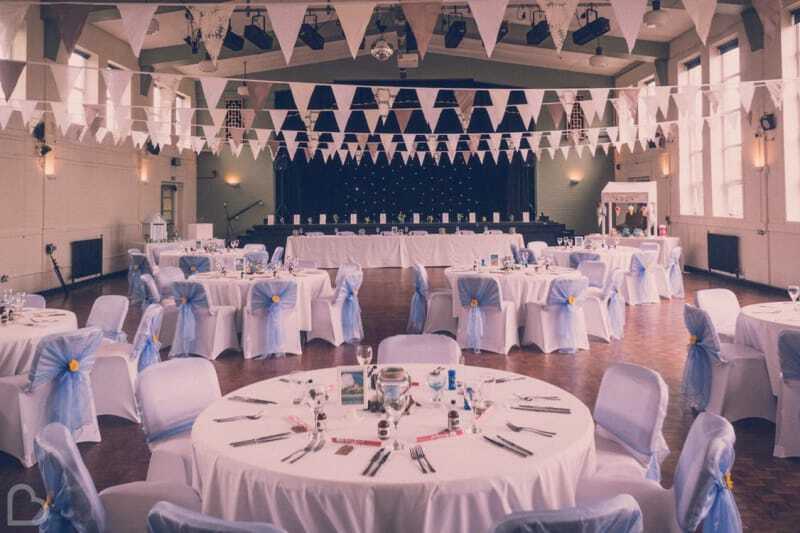 This former school near Newcastle is now the vintage-style venue of Nineteen 32. The experienced team here are on hand to make sure your wedding planning is personal, bespoke and goes without a hitch. Here you will find vintage décor and unique charm with an ‘old skool’ vibe! 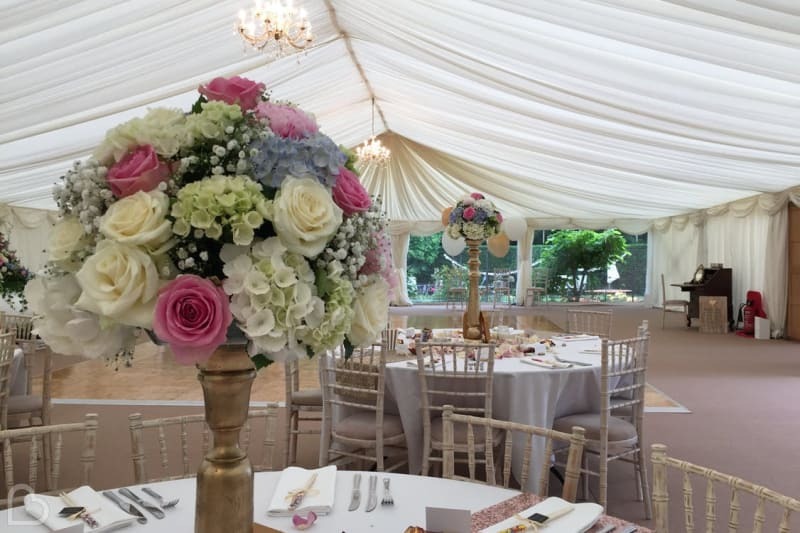 Overlooking the picturesque river and offering panoramic views of Kent, Riverview Manor is home to a luxury marquee with elegant hanging chandeliers. The neutral background here provides the perfect blank canvas to inject your own colourful theme or ideas! Steeped in years of history, King’s Chapel is nestled within the Chiltern Hills of Buckinghamshire and instantly makes a statement with it’s domed hall. 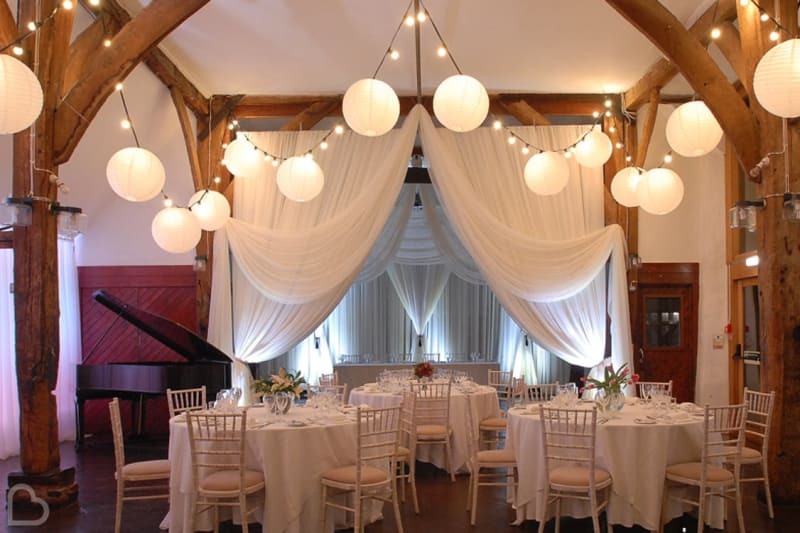 Arched windows and spectacularly elegant chandeliers are the basis to this blank canvas venue, where anything goes! 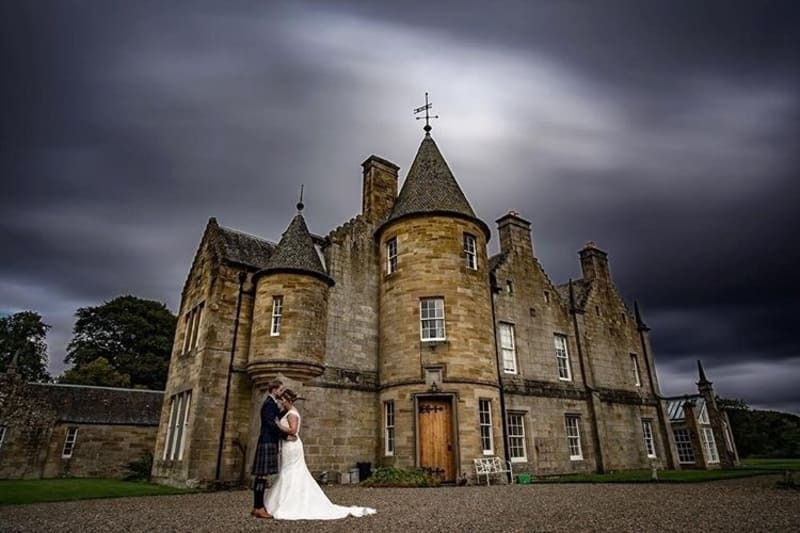 Newhall Estate is a private and exclusive venue in which Newhall House stands – a Baronial Scottish home. 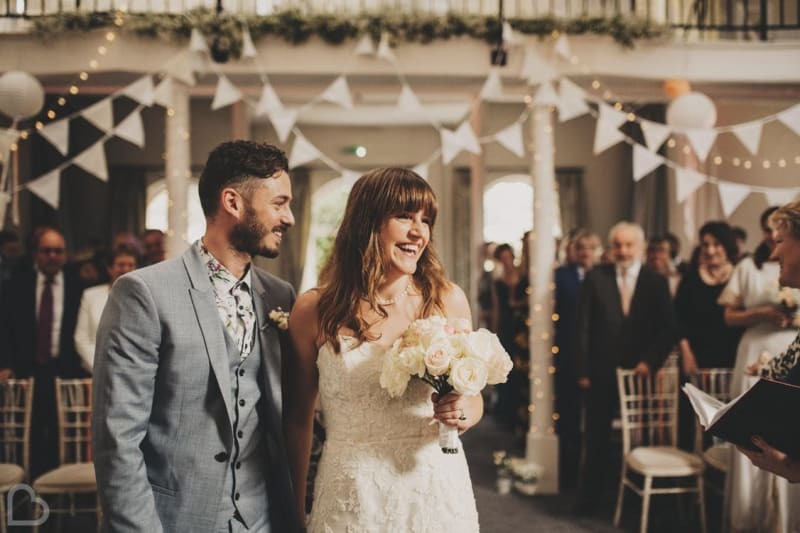 On the edge of Edinburgh, this fairy-tale castle venue offers a mixture of plain canvas and bold historical rooms to suit whichever theme you would prefer. Calling all film fanatics! 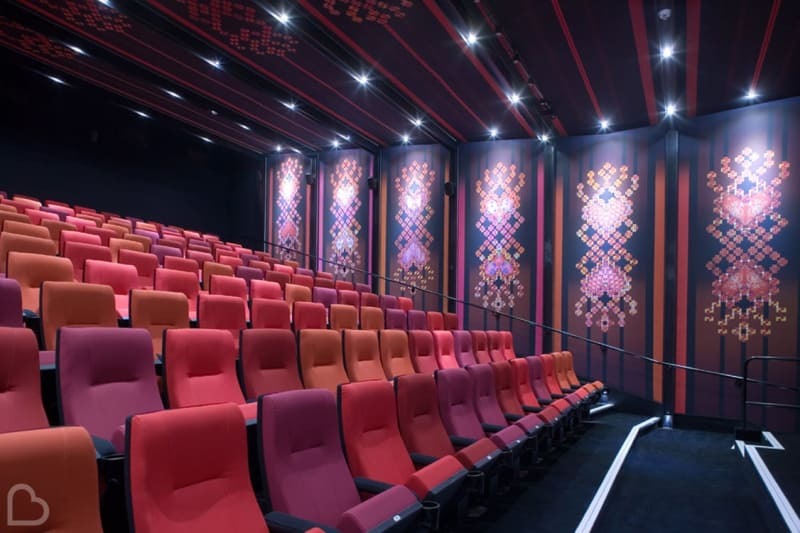 London’s Rich Mix cinema can play your favourite film at your wedding, with all of your guests in the audience. The indoor spaces of this boutique cinema are vibrant and full of character, while the urban-style garden makes a great mingling point. The natural beauty of Darwin Lake in Derbyshire‘s breath-taking countryside is an unbelievable blank canvas setting. 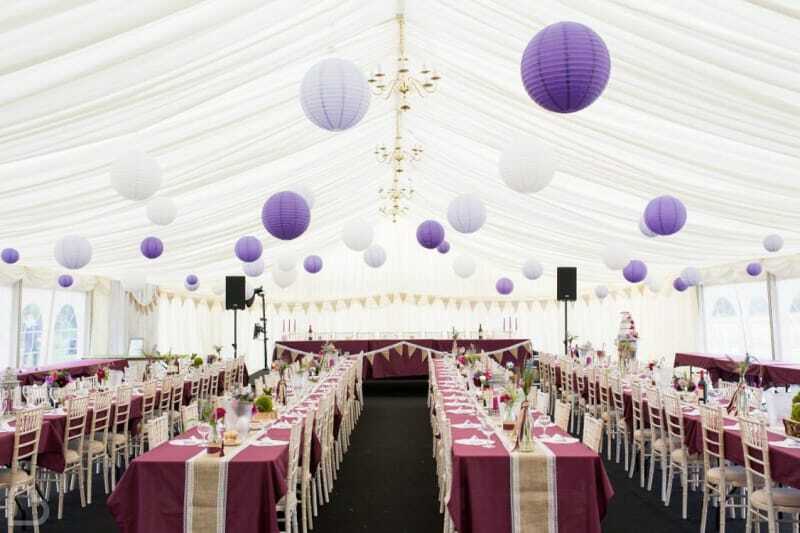 Celebrate in the Darwin Hall or go alfresco with an outdoor marquee, before retiring to your honeymoon cottage. Not the mention – the lake! Rosewood Pavilion allows you to create your bespoke day within the natural setting of the Cambridgeshire countryside. Enjoy tree-lined pathways and surprises around every corner at this venue – and don’t forget to grab that photo against the stunning sunset backdrop! 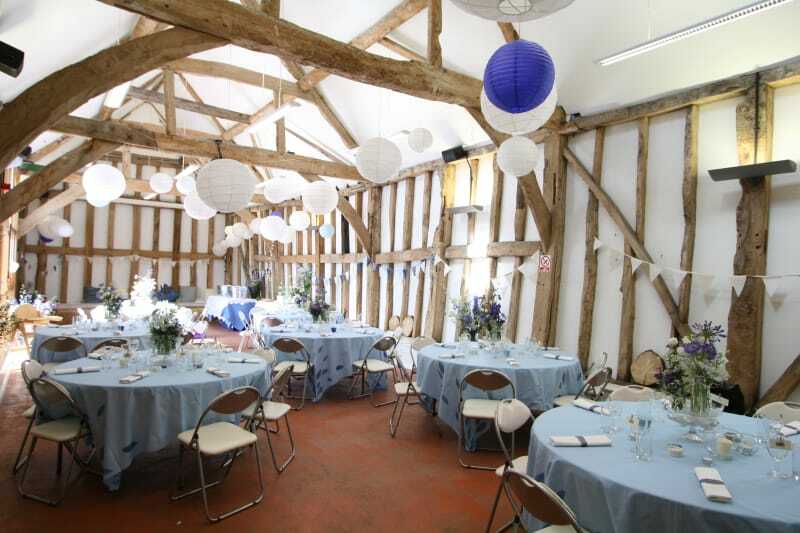 Organise every aspect of your day at Fison Barn, including the decoration and all-important catering. The 19th Century structure, along with the herb-scented courtyard, is an idyllic location to make your dreams become a reality in a secluded rural setting. 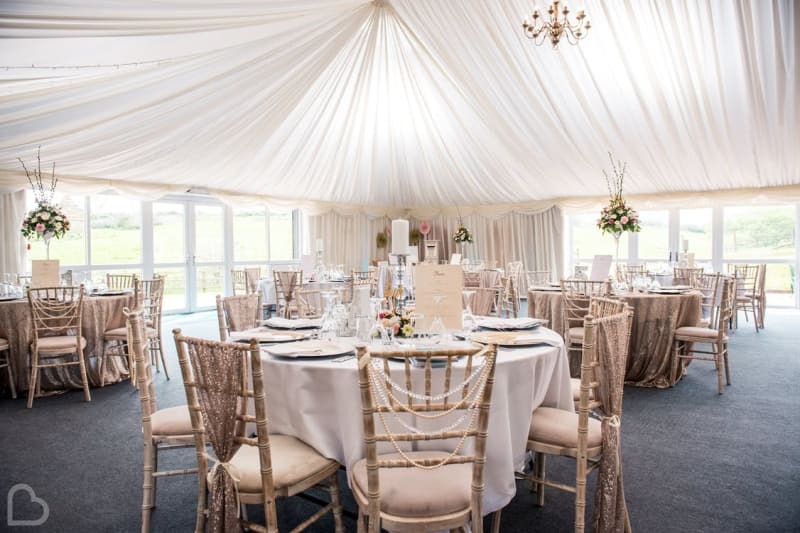 Surrounded by orchards, Brogdale Collections is an inspiring venue with a meadow marquee, rustic interiors and plenty of charm with the chance to tour the orchard by tractor! Utilising suppliers local to the venue and with a miniature railway to keep the kids entertained, this blank canvas is sure to be fruitful! But also not to worry if none of our picks took your fancy – start your own Venue Search on Bridebook.co.uk and simply click ‘blank canvas’ in the filters. Don’t forget you can also use other great features on the site to keep track of your wedding planning too – fill in your budget, checklist, and read some of our brilliant advice from wedding experts!